Currently eleven partner organizations offer demonstrations and loans of assistive technology equipment and software. Community Partners have equipment geared toward school age children, elders, and all ages in-between. Whether you are looking for assistance with writing or want to try out skiing, check our partners for information on demonstrations and loans of assistive technology. At ATforAll NH you can find equipment for all ages available for loan, demonstration and reuse. Visit the website and for further assistance, please call 603-862-4320 or email nh.at4all@unh.edu. Assistive technology can be expensive and often, even after years of use, there is still a lot of life left in the used equipment. We strive to facilitate the reutilization of gently used devices and parts. Refurbished Equipment Marketplace is a service area of ATECH Services which offers used equipment that has been cleaned and refurbished by trained technicians. Get devices at a discounted cost compared to new. The REM is located in Concord, but you can also visit the online showroom to find out what is available. COA - Chapin Senior Center lends out mobility equipment at no cost to any community member in need. You do not need to be a COA member. The equipment must be signed out by completing a brief form and questionnaire. We ask that equipment be returned clean and in good working order within two weeks of the date it was borrowed. If you have any questions or concerns regarding a piece of equipment please call COA at 526-6368. Connecticut: The NEAT Center at Oak Hill refurbishes used Durable Medical Equipment, such as wheelchairs, scooters, etc. They inspect, repair and ensure that the devices are properly working then sell them at a significant discount. Maine: ALLTECH is a non-profit organization offering a "Recycle and Reuse" service. The program accepts donations of gently used equipment such as wheelchairs, walkers, bath seats and many others. The equipment is then sanitized and restored to good working condition and then made available for purchase at a much reduced, affordable price. 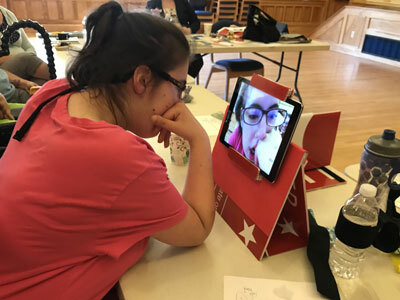 Disability Services continues to expand its assistive technology capacity to meet the needs of all students including an assistive technology lab. Northeast Passage is a renowned adaptive sports and recreation program, unique, creative, and inspiring. Learn more at their website and check out the adaptive equipment rental and other programs they offer.